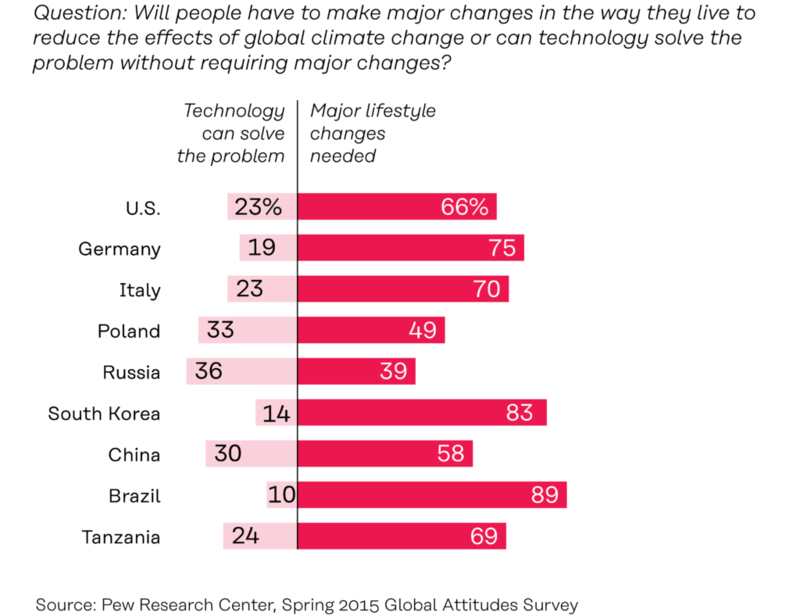 Five examples of international surveys reveal the ongoing transformation in society. In industrialised countries expectations regarding the future are pessimistic and people trust their peers rather than institutions. This article presents five observations from recent surveys that tell us about the experiences and expectations people have regarding societal development in different countries. The observations are part of the background material for the Rewiring progress memorandum, which outlines a view on how progress could be defined in post-industrial societies in the 2020s. There is a dramatic difference in faith in the future between the populations of developed and developing countries. 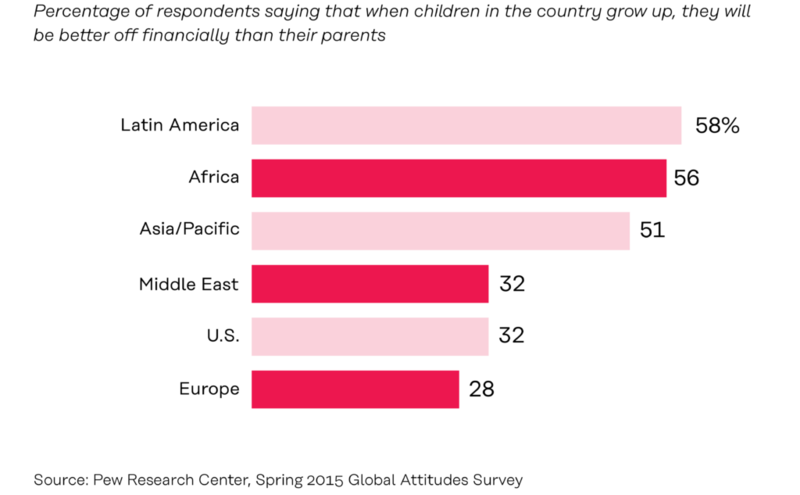 In Latin America, Africa and Asia, more than half of people believe that the next generation will be financially better off than the current adult generation, whereas fewer than one third of people in Europe and the United States believe that the next generation will be wealthier as adults than the current generation. 2. Was life better in 1966? When asked “Is life today better or worse than 50 years ago for people like you?”, the largest group among the American respondents thought that life is worse today. Corruption erodes trust and the functioning of society. It has been found to contribute significantly to instability and economic problems in many countries. In the survey implemented by the Edelman Trust Barometer in several different countries, corruption was clearly the major societal concern – more so than immigration or the growing pace of technological innovations. Trust is what keeps societies together. The erosion of people’s trust in institutions has been one of the most important phenomena in the past few years. It is reflected in the growing criticism of politics, for example. At the same time, the internet and social media have opened up opportunities for peer communication between people and for making one’s voice heard. 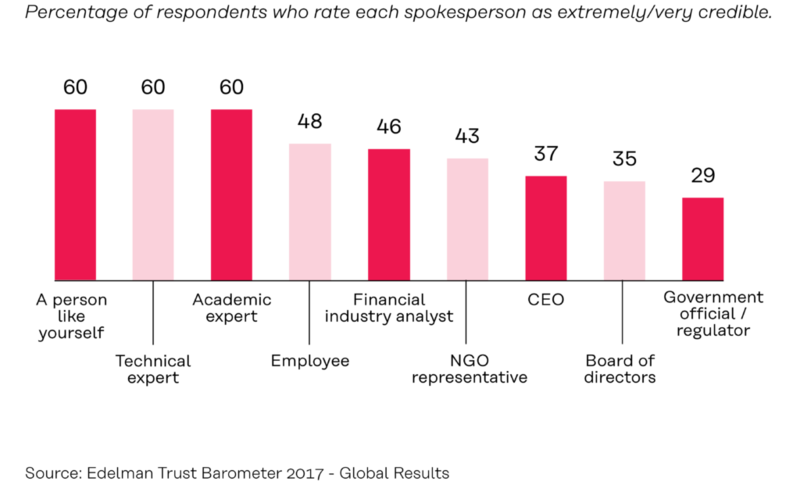 Over the past 15 years, people’s trust has shifted from official authorities (public servants and business directors) to their peers – “people similar to oneself”. Academic and technical experts are trusted as much as peers. Climate change is the biggest threat of our time, threatening all humanity. Technology plays a key role in curbing climate change by creating new or more efficient energy systems, new transport technologies and new energy-efficient solutions for industry and construction. But technological development alone is not enough. It is also likely that we will need to make changes in the way we live and our underlying values. Adopting new transport solutions or using the services of a sharing economy instead of owning are just two examples. In the developed countries particularly, the majority of people believe that a change in human behaviour is required to solve climate change. Those who believe in a technological solution alone are a clear minority. 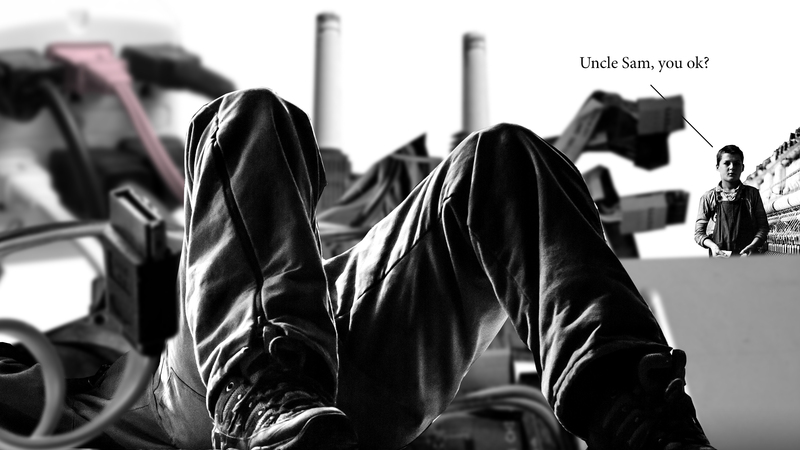 These examples are part of the background material for the Rewiring progress memorandum, which outlines a view on how progress could be defined in post-industrial societies in the 2020s. The memorandum is part of The Next Era work by Sitra and Demos Helsinki to create a vision aimed at reforming of the Nordic model – the next era of well-being.